Bleisure – what is it and why does it matter? What do the words smog; chillax; shopaholic; affluenza and bromance have in common? Answer they’re all “portmanteau” words — one formed by combining two words into a one. Personally, I thought a portmanteau simply meant a large holdall until I started doing research for this piece; these days it’s more commonly used to mean the fusion of two separate words into one but it does still mean a particular piece of luggage. And, what’s more, if you’re indulging in the latest example of a portmanteau, “bleisure”, you may well require a portmanteau (original meaning!) because bleisure is a word used for the increasingly common practice of combining business and leisure trips into one. So how common is bleisure and does it work ? Well, from a personal perspective bleisure is going on all the time at Click Travel. In a technologically connected world people can work anywhere and our employees have been taking up the chance to “freedom work” (work when and where they like) in increasing numbers. Members of our team have taken trips to Africa, America and even plain old Cornwall and have easily combined surfing, retreats and visiting relatives with their working life. I myself spent a large part of the summer in California and worked half days, starting work at 6am to catch the UK afternoon, working until noon and then hitting the beach. During that time I collaborated with a colleague on a bid – I amended it during her afternoon and she updated it while I was asleep! Taking only half the time as holiday meant double the time away with the family – perfect! 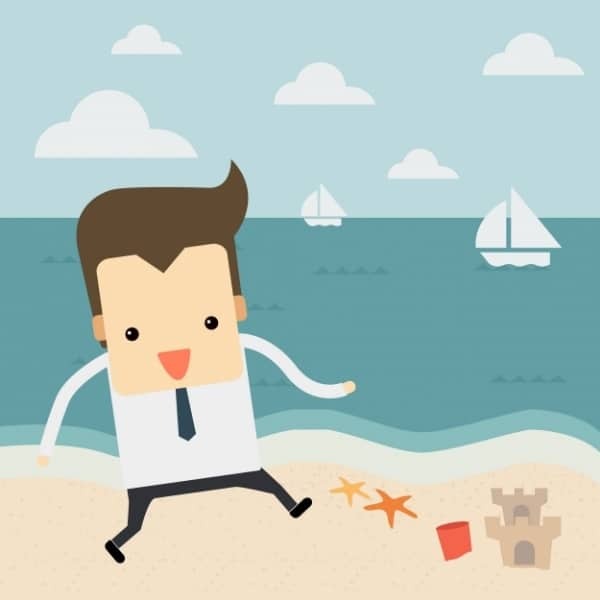 So bleisure is all fine and great for employee engagement and retention, but how does it fit into a travel programme and can it save you money? Well the answer is yes, but it depends how creative you want to be. Recently, one client, wanting to save money on their travel, decided to implement an Economy only flights policy. Ouch, you might say! There were probably a few people complaining about that! Well possibly, but they cleverly sold it as a chance for a bleisure trip, allowing the employee to have a day off to themselves when they arrived at their destination. Sure, you might have a bit of jet lag, but you can dust off the cobwebs with some sightseeing. The company saved thousands and employees got some free time: win win. Bleisure can work like that, but what of the time strapped executive that just can’t afford to take that extra day off at their destination. CEOs of major corporations have their diaries planned for literally years in advance; an unexpected change of travel policy allowing them some sight seeing in their destination is hardly going to work for them. So like all things, it’s probably horses for courses, but I would advise everyone to consider a bit of bleisure – it’s great for family life and will put a smile on the faces of employees – if only they could come up with a better name for it! For more business travel comment, analysis, advice and expertise, subscribe to Click Travel’s Travel Management Monthly, where you’ll find complimentary resources all in one place.